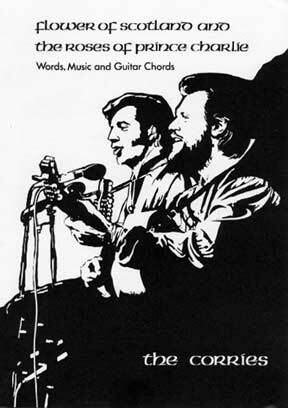 Ronnie Browne (guitar, mouth organ, banjo, psaltry, combolin, bodhran, vocals) and Roy Williamson (guitar, flute, combolin, English guitar, vocals). 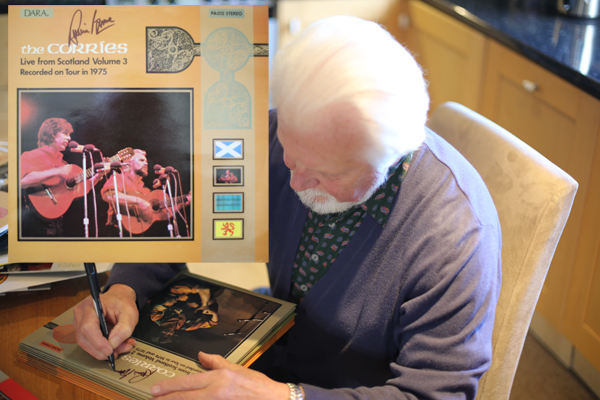 Scotland Will Flourish highlights Ronnie Browne and Roy Williamson’s individual and combined vocal and instrumental talents at their performing peak. On stage their popularity was unsurpassed - this is a live recording from one of their concerts. 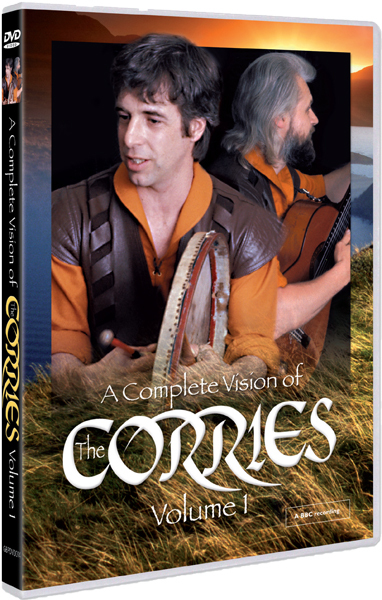 The Corries Classics series presents original recordings by The Corries digitally remastered in Dolby Surround™, to offer listeners using home cinema systems the option of hearing The Corries for the first time in surround sound. This CD will play as normal in all domestic or in-car CD players with full stereo reproduction. When played in a home cinema system, the disc will present the listener with a choice of stereo reproduction or surround sound - an enhanced audio experience with an extra level of clarity and depth. To cheers and applause the rousing All God’s Creatures opens proceedings in welcoming fashion and is followed by the emotive Jacobite ballad The Wee Grey Finch, sung by Roy with the subtle harmonies of Ronnie adding a haunting atmosphere to this classic account of Culloden’s bloody aftermath and the price the highland population paid. 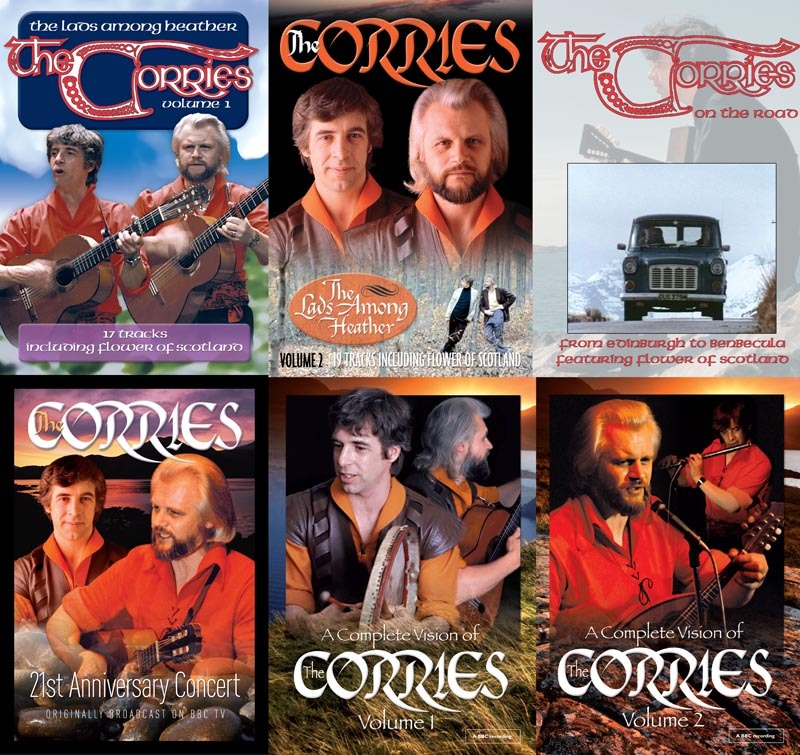 The Birth Of The Corries' Blues provides a lighter note as we learn first hand the manner in which The Corries came into the world - it could be said it was a difficult birth. The Wedding Of Lachie McGraw will test lovers of tongue-twisting lyrics to the full and is tailed, for good measure, by the toe-tapping instrumental Ballymuir Cottage. Ronnie takes the vocal lead on the famous old ballad My Bonnie Laddie’s Lang A-Growin’, and does so brilliantly whilst Roy displays the spine-tingling sound of the combolins to their full extent in this tale of an arranged wedding. A stirring call-to-arms summons the clans in The News From Moidart - heralding the arrival of Bonnie Prince Charlie in Scotland in 1745 to reclaim the crown for the House Of Stuart in that ill-fated enterprise ended at Culloden battlefield a year later. 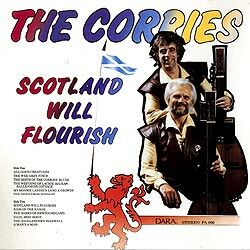 The title song Scotland Will Flourish is a timeless song in which we are prompted to look forward to the future whilst retaining the best of our traditional virtues - our tolerance, hospitality and spirit. 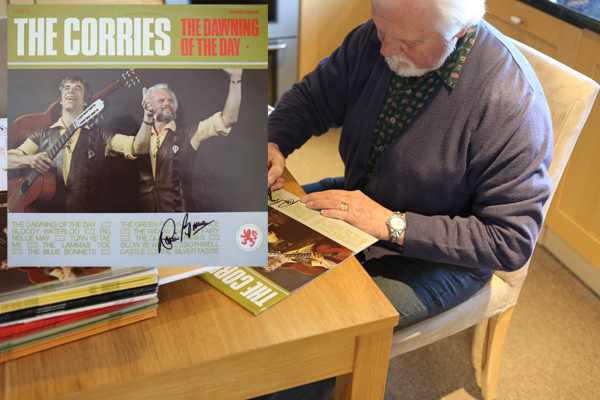 Parents of teenage children will relate to Ronnie’s humorous rendering of Kids On The Range, with its happy ending proving a hit with the concert audience before Roy presents The Banks Of Newfoundland, a dramatic seafaring tale of yesteryear. Still at sea, pull on those ropes and rigging to the sea-shanty Haul Away Rosie - it has the audience singing along with The Corries in one of the highlights of this concert. A sympathetic treatment vocally and instrumentally is provided by Roy and Ronnie to that saddest of Jacobite songs, The Highlander’s Farewell, and closing the concert to heartfelt applause is A Man's A Man, written by Robert Burns. 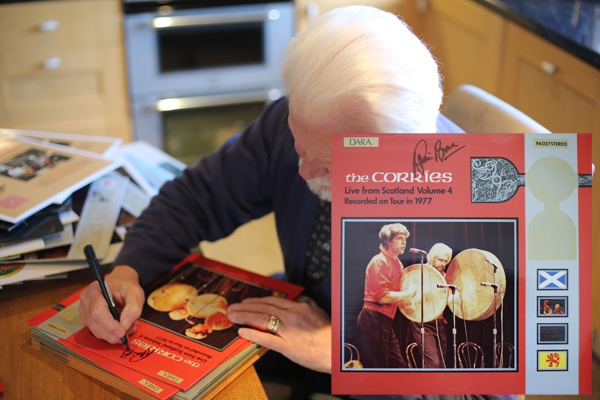 The Corries’ performance is impeccable and the sentiment of Burn’s lines as relevant in this age as when he penned them.